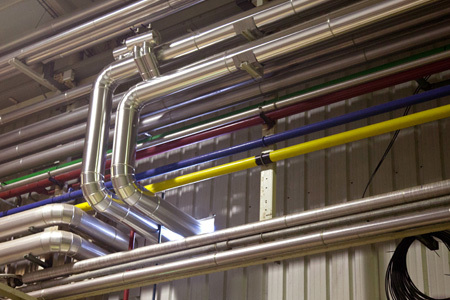 Morelba offers specialized services in facilities and ducts carrying fluids (steam,compressed air, CIP cleaning, ACS, AFS, chocolate, milk, jam, … ..) Assembly and Industrial Maintenance, Air-conditioning systems. With extensive experience in the food industry and automotive sector.ión. Morelba, provides technical advice and analysis facilities, preparation of technical files and file management for probate with the corresponding administration. 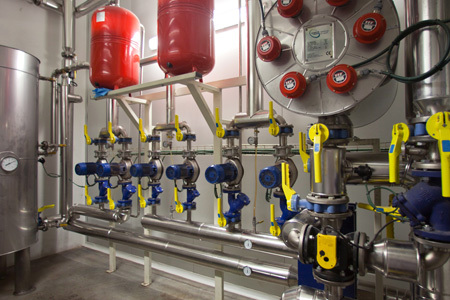 Manufacture and assembly of any type of fluid installations: Steam, Compressed Air, Vacuum, ACS, Water overheated, etc. Diversity of materials: stainless steel, carbon steel, aluminum, PVC, crosslinked polypropylene (PPR), polyethylene etc. Assemblies and industrial maintenance, metal constructions: ladders, platforms, platelajes, conveyor belts, etc. 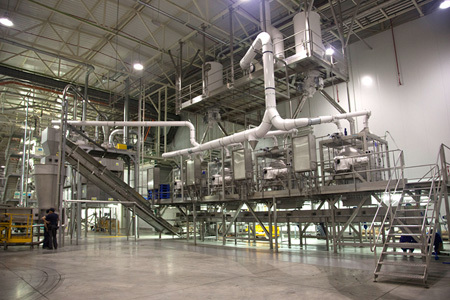 Installation of complete production lines, boiler rooms, compressor rooms, etc. 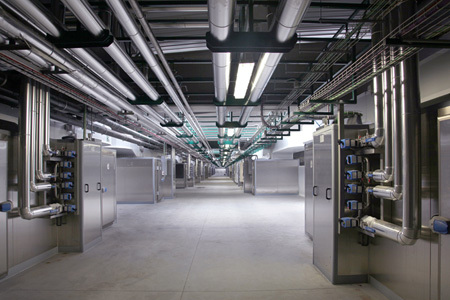 conditioning, ventilation, special extractions, both industrial and property-level solutions. Manufacture of tanks, containers, boiler, pieces of boilermaking in general, etc, in both carbon steel and stainless steel. Works of mechanized weld and of pieces under plane. Deposit of machinery in our spacious park and warehouses. Thermal: the thermal insulation dry pipes all diameters, tanks, reservoirs and canals. 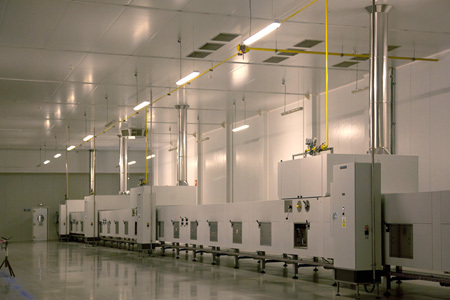 Acoustic: installation of acoustic panels in cameras, manufacture of soundproofing drawers blowers, compressors, etc. Approved Welders (ATISAE) in various welding processes, adapting to each client. Staff is training with ongoing training for maximum professional qualification. 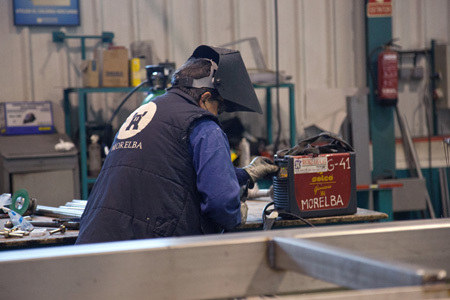 Morelba brings over 25 years of experience, and three generations working with effort, perseverance and honesty. Morelba is always looking differentiation to add on value to our customers.